The Gökçeada-1 ferry boat, carrying over 170 passengers and 64 vehicles, suffered rudder trouble on Aug 17, 2018, at 9 a.m. The ferry was underway from the Kabatepe pier in the Çanakkale province to the island of Gökçeada when it got disabled. 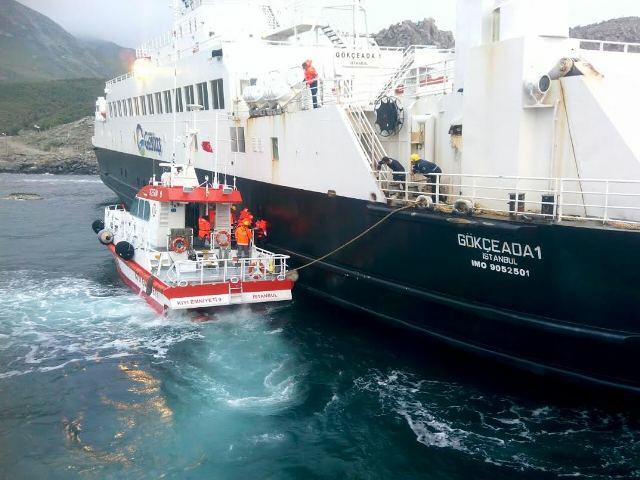 The captain stopped the ferry 30 meters away from the shore before the Coast Guard arrived to evacuate the passengers. All passengers were safely taken off, the ferry was to be pulled to port by another ship.